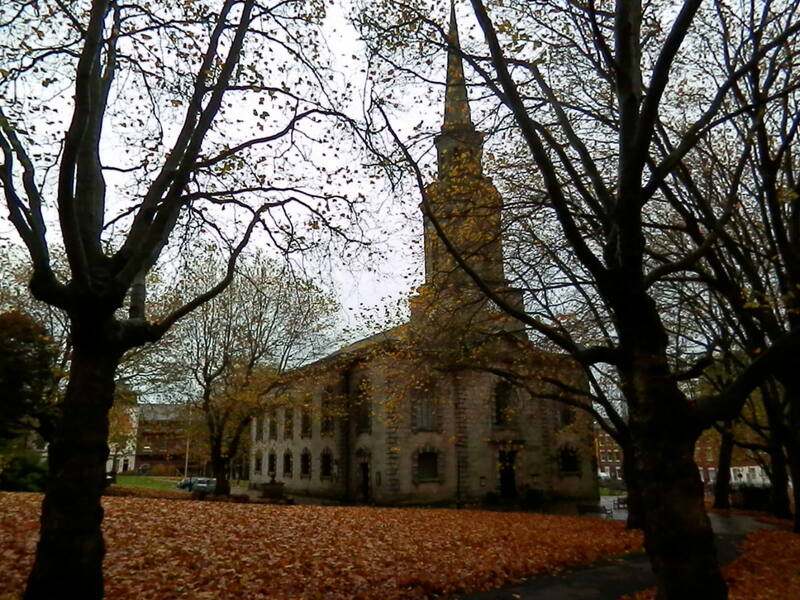 St. Paul’s Church, Birmingham, built 1776-7, consecrated 1779, designed by Roger Eykyn, apart from the belfry and spire, designed by Francis Goodwin, and added 1822-3 (photo author). Richard Chippindall’s headstone (photo author). Few know about Chippindall now, but surviving primary source material tells us much about his life, the kind of man he was and that he was a figure of some importance in the early industrial history of metal trades in England, especially in Birmingham and London. Chippindall wrote an unpublished ‘Apology for the Life of Richard Chippindall’ in 1824 which provides much information about the man, his career and his family; this provides the main narrative and much of the quotation used here. His will, dated 1826, the year of his death, contains further detail as does the Burial Register of St. Paul’s. Chippindall worked for Birmingham’s pioneer of industrialisation, Matthew Boulton, and that firm’s papers, the Matthew Boulton Papers, in the Library of Birmingham, include much documentation about Chippindall. The Birmingham Levy Books, trade directories and records of the Colmore estate provide further useful material. Chippindall was born in 1751 at the village of Mitton (then in Yorkshire, now in Lancashire), near Clitheroe, to a family with eight children, with some pretensions, given that the father had inherited a small estate and his mother was a daughter of a yeoman. He was educated at Clitheroe Free Grammar School. But the family moved in 1765 to Gascoe near Ulverstone, and his life started on its rocky path. His education was left incomplete by the need to help on the family farm. His father, ‘a good Christian’ died in 1766 from a coastal accident. Richard’s inheritance was only £20 16s 0d and since the farm was inherited by his brother. Chippindall was obliged to leave home for work. In 1768 he was apprenticed to a Mr Bodley, an ironmonger in Kendal, followed in 1774 by work as a bookkeeper for a wholesale and retail ironmonger, Mr Bateman of Manchester, for five years. During that period Chippindall’s annual salary rose from £25 to £50, as the business prospered; with that many would be content but to live to the standard he required, he used up some of his modest inheritance. He felt overworked and left on bad terms with Bateman. From 1779 to 1782 he worked for a Mr Harris, an ironmonger in Bath; Chippindall fell out with a man he described as ‘stupid’ and ‘ignorant’ and felt that his salary was less than promised, but which Chippindall himself said he had‘foolishly’ failed to have written into a formal contract. He left to work for a Mr Hewit, a shoe merchant in Lombard Street, London; when it came to Hewit’s ears that Chippindall was complaining that his salary was only half of what he expected, and wished to be employed selling metalwork, he left the ‘next day’. Chippindall’s London employment continued, but as an agent for brassfounders in Birmingham, a branch of trade that had grown significantly there from the middle of the previous century. Chippindall was invited by John Simmons, of Great Charles Street, Birmingham, to be his London agent, operating first in Holborn and later 59 Watling Street; Chippindall continued up to the the mid-1780s when the business declined, amidst financial chaos and dishonesty, which led to Simmons’ disappearance in 1790. Chippindall also met John Rotton of Birmingham who entered a partnership with Harris, Chippindall’s employer in Bath, in 1782; in the late 1770s Rotton was in partnership with a Mr Bache at 9 Prospect Row, then worked on his own there, but moved to Belmont Row, also in Birmingham, by the end of the century, where his son carried on the business in the early years of the nineteenth century. Chippindall became Rotton’s London agent and became particularly friendly with him. Another Birmingham link was with John Scale, who was friendly with Bateman; according to the ‘Apology’ it was through Scale, a senior member of staff at Boulton’s Soho Manufactory near Birmingham, that Chippindall received an invitation to be an agent in London. He had sold a sword for Boulton in 1782, but formally became the agent for the Plate Company (one of many at Soho selling different kinds of metal products) from 1784. and continued in that role to 1808. The Plate Co. made silver but mainly Sheffield Plate (silver, usually on copper). Chippindall moved his agency from Watling Street, on Boulton’s advice, to roomier premises at 119 Fleet Street in 1787 and in 1790 to 1 Bell’s Buildings, Salisbury Square, which was well-equipped with glass cases. His terms of employment as stated in a letter from the manager of the Plate Co., John Hodges, which survives in the Matthew Boulton Papers, included a commission of 5% on sales for the expenses and work involved, though that was forfeited in the case of non-payments, to guard against which he was required to assess the character of new customers. He was promised the prompt execution of orders. Trade customers were given discounts on Sheffield Plate of 25% with a further 5% for prompt payment; he was provided with patterns for prospective customers but was also expected to give advice about design trends in London and search out new patterns by other firms to keep Soho up-to-date. Chippindall’s ‘Apology’ shows that he attached much importance to his procurement of up-to-date patterns, since in Chippindall’s judgement the previous agent had neglected the matter and there was no one at Soho capable of producing original designs; Soho’s reputation in matters of taste had declined since the early 1770s. Many examples survive in the firm’s papers of Soho following designs provided by Chippindall: in 1796 a new die was made for new water plates (i.e. plates that could be filled with hot water) for one of his customers and in 1796 new dies were produced at Soho to make candlesticks to a design provided by him. Hodges, Chippindall often felt, procrastinated over the introduction of new patterns: the firm’s papers include a copy of a letter, dated 1796, in which John Hodges, the manager at Soho, remarked that new dies for new patterns required by a Chippindall customer wanting salts and candlesticks would be ‘costly’ but did not say clearly whether or not the order should be rejected. There are many instances in the firm’s papers of refusals to make new patterns for Chippindall’s customers. The reason was often to do with the expense of cutting new dies: that was the reason for refusing to make a new pattern for silver soup plates for the London retailer John Wakelin and Robert Garrard in 1797, and in 1786, not having the dies for dishes to a pattern derived from a firm in Sheffield, advised Chippindall to direct the order to that firm in Sheffield. Chippindall also felt that many orders were lost through Soho’s reputation for delays in manufacture, and he complained about the matter as early as 1785, the year after taking up his post. The basis for the reputation can easily be understood: for example Chippindall complained to Boulton in 1790 that Soho had had an order for six months for a Mrs Hastings, but Hodges could give him no idea when it would be completed. In March of the following year, having had no word about orders sent to Soho in January, Chippindall complained about having to suffer customers’ ‘uncivil messages of insolent language wch I am daily oblig’d to hear without murmur’. Delays would have been fewer if Chippindall had had a larger stock. In 1785 it was valued at £371 18s. 6d. but in 1795 he claimed that it was down to £40, at a time when one customer visited him wanting £150 worth of Sheffield Plate. Further correspondence in the firm’s archive shows that Chippindall wanted an increase, which he only obtained through Boulton’s intervention, necessary because Hodges wanted to keep the level down, fearing that it was tying up too much capital. Chippindall’s ‘Apology’ was, not surprisingly, silent on other matters which showed him in an unfavourable light but which are revealed in correspondence in the firm’s papers. In 1797 Hodges complained that lately too many orders had been given in a rough and ready manner, which required clarification and therefore delay. A failure on one occasion to inform Soho of a Wakelin and Garrard price specification forced Hodges to reduce the price of Sheffield Plate tureen stands by 13s. 0d. each. In 1797 Hodges was irritated that Chippindall had accepted orders from several companies that were badly in arrears with payments for earlier orders. At the same time Hodges expressed dismay that he had not received Chippindall’s accounts for the previous two years. Instances of complaint about Chippindall by Soho, were heavily concentrated in the mid-1790s and they had much to do with his taxing family situation, though in the ‘Apology’ Chippindall was only prepared to concede that he had ‘almost’ been distracted by mounting domestic problems. His wife bore six children between 1788 and 1796 (only four of whom survived infancy). To try to restore her, she had two months in Bath in 1796, following which Chippindall set up a second home in Hampstead, which he regarded as a healthy spot; however, this did not improve his wife’s health, built up heavy medical expenses, and fatigued Chippindall by the need to walk a substantial distance daily to and from work. So he decided that the whole family had to revert to Salisbury Square, after only a year. Anxious about the additional family expenditure Chippindall took on extra work: in 1794 he started selling latchets ( an alternative to buckles which pinched the sides of shoes together) for the Boulton /John Smith partnership; from 1797, he sold buttons for the Boulton/John Scale partnership and letter copying machines for the Boulton/ James Watt partnership, machines which were invented by Watt and patented in 1780. Documents within the firm’s papers reveal that at about the same time Chippindall was invited to sell Sheffield Plate by another Birmingham maker, William Bingley, who had previously worked at Soho; fearing a conflict of interest, Hodges and Boulton asked him not to do so and with that Chippindall seems to have complied. Pressures culminated in 1797 when Chippindall was summoned to Soho. According to the ‘Apology’ it was discovered that Chippindall was in debt to the Plate Co. by more than £1000 and nearly a further £1000 to all the other Boulton partnerships and John Rotton’s brass foundry combined (though the combined total was later put at £1600). Although some of the problem was due to bad debts by Chippindall’s customers, a key issue was the paucity of expenses he was allowed by Soho. Chippindall’s ‘Apology’ failed to make it clear that his letter of appointment had both said that he was not to be given commission when his customers failed to pay and that his commission of 5% was to include expenses. Chippindall was therefore, under the terms of the contract, required to pay for premises, fittings, travel, and wages for staff, who had increased from two to three. The basis of his resentment was that salesmen for comparable Sheffield manufacturers received substantial expenses. Chippindall related in the ‘Apology’ that he found the meeting traumatic, but the outcomes were favourable. It was agreed to pay him expenses comparable to those given by Sheffield manufacturers. Chippindall paid off his debts regularly and finished doing so in 1804. In 1802, following the death of his wife, Boulton agreed to pay for the education of Chippindall’s son, Charles William, for a year at a school near the Soho Manufactory, which Chippindall regarded as an act of commendable generosity by someone he now saw as a friend. Hodges looked after the boy in the holidays while the daughters stayed with the father. There was also a stronger sense of management getting to grips with longstanding problems. Because of the lack of design expertise the firm had relied on copying or adapting those of others, which Chippindall felt was deeply unsatisfactory. In 1802 he wrote to Boulton: ‘Whatever draughtsmen you now have at Soho in the plated department…as far as supports the ornamental things to be designs in that department—All you have are copyists…I appeal to Mr Hodges for the truth of this’.Chippindall encouraged Boulton to build up artistic standards, taking in 1803 a silver-gilt cup and cover made at Soho to firms in London for critical comment on the chasing and urged the creation of a design school and saw John Phillp, who had come to Soho in 1793 to train as an artist and die-sinker, as an important artistic presence. Most of the design effort was for the benefit of the Soho Mint, in which Boulton heavily invested from the late 1780s. Chippindall was asked to help to find high-quality die-sinkers in the early 1790s and this led to the appointment of Konrad Heinrich Kuchler, who having escaped the dangers of the French Revolution, first worked at Soho in1793 and later in London, but still for Boulton. Progress was also being made, albeit slowly, in answer to Chippindall’s complaints over delays. A new rolling mill was completed in 1787 for Sheffield Plate; although this had earlier been seen as vital to reducing delays, and did gradually lead to improvements, Chippindall pointedly remarked in correspondence that delays were still occurring. The number of staff was felt by Chippindall to be inadequate; Boulton and Hodges generally preferred the option of training new staff, but a frustrated Chippindall, feeling that that was a slow route, took the lead in 1800 to hire two experienced hands in London, though at wages Hodges thought were too high. Correspondence around 1800 shows that Hodges, aware of Chippindall’s criticisms, tried to find ways of ameliorating the problem: he was now much more inclined to decline orders if he felt they would be manufactured slowly, obtain finished goods from other manufacturers, or ask Chippindall to check how long customers would be willing to wait. The Plate Co. became more and more successful. Chippindall’s annual commission, only £18 10s 8d in 1785, increased so that after 1800 it annually amounted to £500. The success of sales in the capital, which had only been £5 in the first year of Chippindall’s agency, gradually increased to upwards of £6000 after 1800. Sales there were a fundamental reason for the Plate Co.’s prosperity. Its profits increased from £1,197 in 1787 to £3,564 in 1805. In Chippindall’s judgement, Soho’s reputation as a producer of Sheffield Plate became equal to that of John Roberts and George Cadman, the leading producer in Sheffield. Boulton apparently felt that Chippindall had played an important role in the progress of the Plate Co. and invited him, through his son, Matthew Robinson Boulton, to become the manager of the Plate Co. at Soho, following the death of Hodges in 1808. At the time, letters by Chippindall in the firm’s papers, demonstrate enthusiasm for the job, but in the ‘Apology’, he gave the impression that he originally had grave reservations based upon his age and success as an agent but had been persuaded by family and pressured into the position by Boulton’s son, who pointed out that if the Plate Co. collapsed so too would the London agency. This later lack of enthusiasm for the job, written after his period as the manager, was an attempt to portray himself as the victim rather than the author of a very unsuccessful period in his career. Moreover, although Chippindall acknowledged in the ‘Apology’ the provision of a free apprenticeship at Soho for his son, he failed to acknowledge further financial provision for him, and the substantial removal expenses he received for his move to Soho. This negativity towards Matthew Robinson in the ‘Apology’ was due to bitter disagreements between them. Chippindall found the son to be far less congenial than Matthew Boulton, whose death in 1809 Chippindall much regretted. Much bitterness resulted from his contract. It was only given to Chippindall after he moved to Soho, by which time he could hardly refuse it, and the language was so complex that he and his lawyer brother found it suspiciously incomprehensible. The workload was heavy, involving ordering supplies, looking after finances and correspondence, superintending the whole, but without the authority to sack staff. There was no reference to the duration of the contract save for a six-month period of dissolution by either party. Although an employee rather than a partner, he was to receive 25% of profits but this was written in a way which led Chippindall to believe that he would receive at least £60 per month irrespective of profits. That was an enticing prospect, but the contract turned out to be a major case of discontent. Although the new regime worked well in the first few years, it fell into steep decline. While Chippindall’s ‘Apology’ put his share of profit in 1810 at £1,561, with which he was ’well satisfied’, it declined to £185 in 1812 and to nothing at all in subsequent years. The new London agent, John Glynn, showed sales of £22,142 in 1810, but the total dropped to £16,338 in the following year and continued to decline. Chippindall’s ‘Apology’ attributed much of the blame to Glynn’s behaviour, which upset and lost customers, and, as Chippindall admitted, he had recommended Glynn to Matthew Robinson, since he had earlier worked well for the agency. The firm’s archive shows that Glynn was also given expenses and did not have, as Chippindall earlier had had, the expense of the lease and fittings at Salisbury Square, since they were purchased by Matthew Robinson. Glynn felt on occasion that he was poorly served by Soho. Matthew Robinson too attributed much blame to Chippindall’s management, yet a document of 1808 shows that a substantial proportion of staff in the Plate Co., in post at Chippindall’s arrival, were thought by management to be ‘ idle’ or ‘dissatisfied’ or ‘backward’. In 1810 there was a dispute involving ’30 or 40’ staff, when Chippindall had to face a hostile workforce. Chippindall felt overworked and that problems arose in large part because his contract deprived him of authority over the workforce, since the right to sack staff was reserved by Matthew Robinson to himself. In the circumstances it was not surprising that there was general agreement that Chippindall would quit in 1815, but as he was about to leave Matthew Robinson demanded that Chippindall sign a bond whereby Chippindall was required to repay (according to the ‘Apology’) £1,818 for the years that he had been paid even when there was no profit. Only now did Chippindall realise that the contract said that monthly sums of £60 were payable only if profits were sufficient. The two men rowed, Chippindall initially refused to sign, but did so after advice from his brother, and further agreed to repay what the firm’s papers gave as £1650 plus interest of 5% to be repaid annually each June, initially at £150 and £200 thereafter. The struggle to repay cast a long shadow over later years of Chippindall’s life. Chippindall’s ‘Apology’ relates how he returned, with his son, to Salisbury Square and resumed the London agency in 1815. He replaced Glynn, dismissed by Matthew Robinson after Glynn spoke to him in an ‘impertinent’ manner following questioning about his alienation of so many customers. Chippindall was able to regain some customers who had gone to other suppliers during Glynn’s agency so that the Plate Co.’s workshops again worked at capacity. The firm’s papers show that they received substantial orders: early in 1819, for example, a payment of £258 17s. 4d. was required of Joseph Brasbridge and Rundell, Bridge and Rundell owed £338 9s 4d. Nevertheless, Chippindall’s commission was at a level which only enabled him to repay his debt to Matthew Robinson at £100 per annum. Chippindall’s accumulated problems resulted in a stress-related attack in 1820 and Matthew Robinson dismissed him, wantonly in Chippindall’s view, with his son taking temporary charge. But the son, Charles, was refused the agency on a long term basis which he, and his father, wanted him to continue under his direction. Instead, a Samuel Sabine Edkins was appointed; he had previously worked at Soho and was friendly with Matthew Robinson, who by now in the ‘Apology’ Chippindall bitterly described as ‘the grand snake and Factotem’. There was temporary relief when Charles was retained at a salary of £100 plus commission of around £20 per annum, which even his father thought was not ungenerous. But the situation deteriorated. The ‘Apology’ relates how Charles stole money owed to his father when he was the agent and went on to steal from the agency itself; he was dismissed in 1822, made to repay his debt, which he did only by borrowing £300 (which, according to Chippindall’s will had not been repaid by his death) from George Richards, who was married to Charles’s sister Mary. Charles was further disgraced by imprisonment for debt. To help pay his debts to Matthew Robinson, Chippindall had to agree to the sale of some of his furniture, the rest kept back for his retirement to Birmingham. In return Matthew Robinson agreed to pay him an annuity of either £60 or £90 depending on the proceeds of the sale. Since according to the ‘Apology’ the sale failed by £300 to reach the level stipulated to qualify for the higher annuity, Chippindall borrowed that amount from family. Although not mentioned in the ‘Apology’, but in the firm’s papers’, Chippindall acknowledged Matthew Robinson’s generosity in reducing the size of the debt in 1820. From that point Chippindall was credited with the annuity, but Matthew Robinson would not pay it until the debt (which increased by £275 when a further debt was discovered in the Plate Co. accounts) was cleared with, firstly, money from the annuity, which happened by Christmas 1823, and, secondly, repayment of more of his son’s debts which had recently surfaced. Actual payment seems only to have happened shortly before the ‘Apology’ was written. . Although his life had been stressful, there was, as he acknowledged in the ‘Apology’ some consolation in his retirement years. He received £60 per annum from family. His daughter Elizabeth Matilda was a teacher and his son gained employment again in 1824. Chippindall lived initially with his daughter, Jane, in semi-rural Ladywood Lane, (now urban Icknield Port Road) Birmingham and they later moved to a house which George Richards had ‘empty’ in Birmingham. 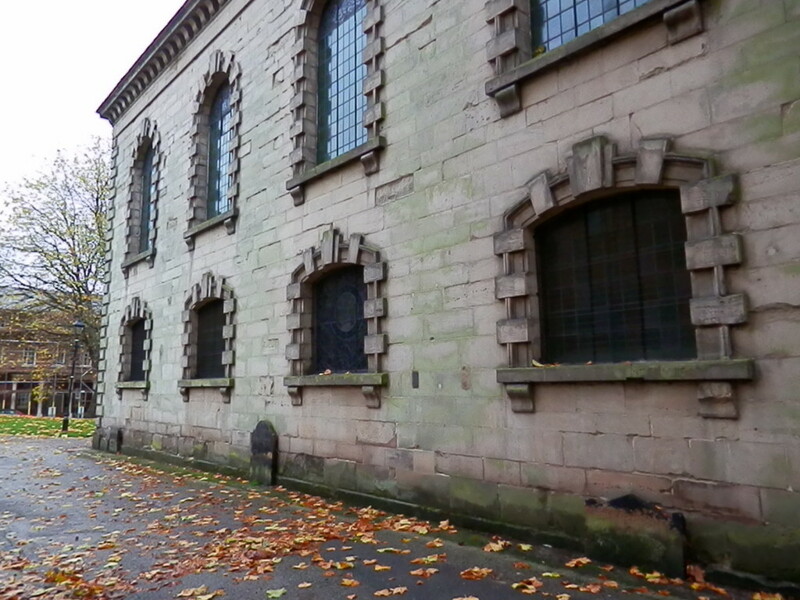 According to ‘The Parish of Birmingham Levy Book’ of 1823-7 the house was number 44 St. Paul’s Square and George Richards and his brother Josiah used number 43 for workshops and a warehouse. Wrightson’s Triennial Directory of Birmingham…of 1821 shows that they made jewellery and other ornaments, and were dealers in certain stones for jewellers. The Richards’ buildings have been replaced, but were situated on the south-west side of the square next to the corner plot on the corner of Brook Street (fig 4). Since the St. Paul’s burial register gave ‘of St. Paul’s Square’ as Chippindall’s address, he lived there up to his death. But his last months had not been spent with Jane since, by the time Chippindall wrote his will on 1 April 1826, she had married an insurance broker in London. 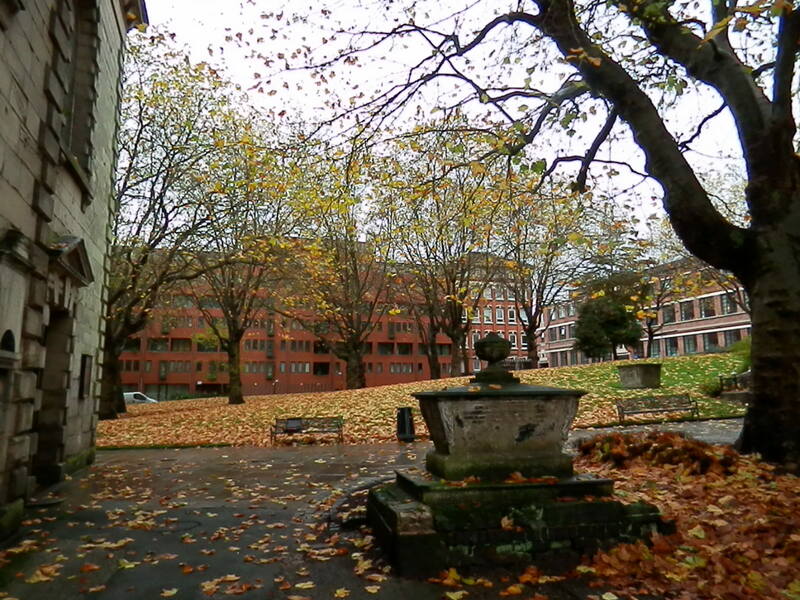 Looking towards the south west side of St. Paul’s Square where at number 44, in an earlier building, Richard Chippindall died (photo author). 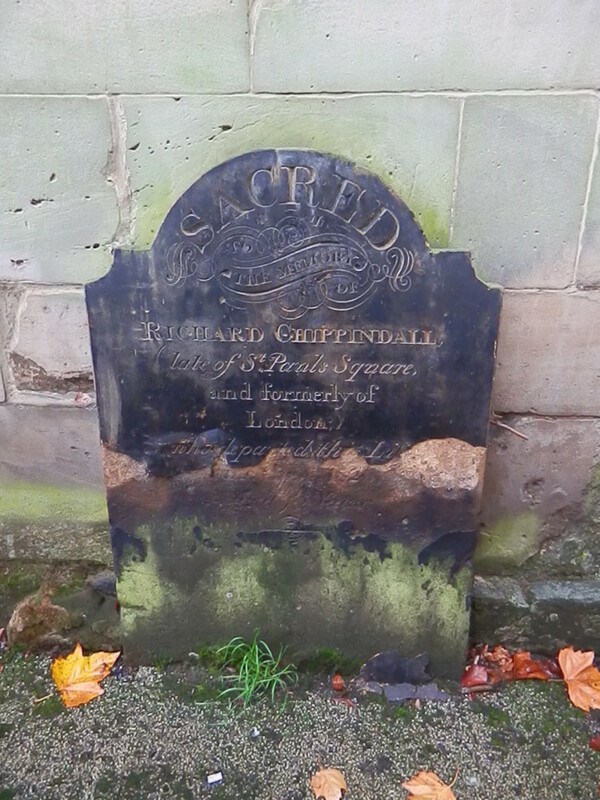 To a greater extent than Chippindall could have realised, his connection with the Richards provided him with a future link with the evolution of metalworking industries in Birmingham. George and his brother Josiah, were uncles to George Richards Elkington, who after an apprenticeship and partnership with them, maintained, according to Wrightson’s Triennial Directory of Birmingham…of 1831 both the use of 44 St. Paul’s Square and the range of products previously made there. Elkington’s partnership with George terminated in 1840 by which time Elkington had with others brought the science of electroplating to perfection and constructed new premises in nearby Newhall Street; he formed Elkington & Co. with his cousin Henry Elkington, that developed into one of Birmingham’s most celebrated firms, and which lasted until the early 1960s. Chippindall’s ‘Apology’ is a sad document, dwelling on a life which became increasingly unhappy. His early years had not always been harmonious, but he had success as a thrusting London agent for Birmingham’s hardware manufacturers and was able to enjoy family life. A part of his later melancholy was due to family problems, especially his wife’s ill-health and early death and even more the wretched behaviour of his son, though he did receive support from other family members. But Chippindall’s dark references to his experiences of ‘low cunning’ and ‘snakes in the grass’ were chiefly identified with many in his professional life, which finally left him with little material reward, despite a long career. The chief target of his bitterness was Matthew Robinson Boulton, who, Chippindall felt, had tricked him over his terms of employment from 1808, and deprived him of authority while managing at Soho, which caused his ruin. Yet Chippindall’s strong character and unhappiness sometimes made him over-critical or unappreciative of many in the ‘Apology’ while he was at fault with a casual attitude towards contracts, his judgements of staff, and allowing family problems to intrude into business, faults which the Matthew Boulton Papers show he sometimes minimised in the ‘Apology’. I am grateful to the following for advice or access to material: descendants of Richard Chippindall, Jenny and Tessa Fitzjohn, Nicola Moores (daughters of Barbara Fitzjohn, born Barbara Chippindall) and their cousin Mandy Rowland-Smith, who gave permission to use the ‘Apology for the Life of Richard Chippindall’; Jacqui Townsend, Church Secretary, St. Paul’s Birmingham for access to the Burial Register; staff at Archives, Library of Birmingham, for the Parish of Birmingham Levy Books, rental documentation for the Colmore Estate, trade directories and maps; John Sawkill for valuable advice. Good evening John … As you know, as a Church Recorder many years ago, I photographed all the monuments inside St.Paul’s. However, it was not in my remit to record monuments outside the church. Nevertheless I was interested in those outside on the North wall, and I remember well the rather discoloured epitaph of Richard Chippendall. I immediately jumped to the conclusion that the name was a family variation of ‘Chippendale’ of cabinet-making fame, a stonemason’s mistake, or a regional variation in spelling. So it is a pleasure to read your work about his rather sad life … thank you ! I can’t feel much sympathy for characters who ‘fall out’ with others so often. Kenneth, Have you looked at Richards fathers will? I believe he was a Chippendale.